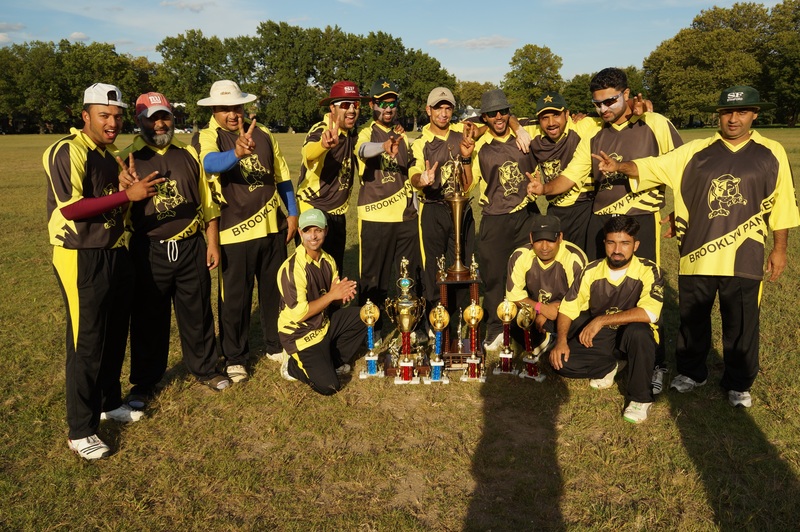 Brooklyn Panthers followed up wins in League and Knock Out competitions with triumph in the Brooklyn League Twenty20 play. Panthers had to overcome season’s challengers Middlesex in the semifinals on Saturday. Batting first Panthers piled up 189/7 with Salik Iqbal scorching 110, his second consecutive T20 hundred. Iqbal’s knock include eight boundaries and seven sixes as Middlesex were left wounded. Shabaz Najam played a cameo for 25, with Andre Kirton 2/21, Adam Sanford 2/40 Joseph Ledwridge 1/30 and Freedie Roopchand 1/32 among the wickets. Middlesex made a game of it as Jacob Emmanuel played some lusty shots for his 59 which included five fours and a six. Support from Kirton 29 and Ledwridge 23 was not sufficient as Middlesex fell 21 runs short. Nousherwan Adil with 3/22 and Asim Shahzad 2/28 were the pick of the bowlers for Panthers in route to their third final on the season. Middlesex 168/8 in another semifinal defeat, a third this season. A day later on September 30th, Panthers meet Cavaliers for the T20 crown. After winning the toss Panthers batted first like they did on Saturday against Middlesex. Salik scored 39 but Abdul Quyyam 44 and cameos by Salman Ahmad and Bilal Adil 25 each ensured an imposing target of 185 was posted. For Cavaliers Chris Myers 2/35 and Michael Providence 2/27 were the pick of the bowlers. Unlikely Middlesex, Cavaliers succumb to the jaws of the Panthers with only Ezekiel Williams 41 and Timothy Warner 30 offering any resistance, bowled out for 105. Salman Ahmad 4/19 with his eyes on the prize a fitting man of the match perfomance. Najam had 2/7 as Panthers won by 80 runs to take the Brooklyn League Twenty20 Championship and a third BCL trophy this season. 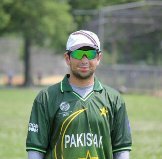 This entry was posted in Headlines and tagged Brooklyn Cricket League, Brooklyn Panthers, Cavaliers, Jacob Emmanuel, Middlesex, Nousherwan Adil, Salik Iqbal, Salman Ahmad, Shanaz Najam. Bookmark the permalink.